Gino on Tour – Tickets Available NOW! 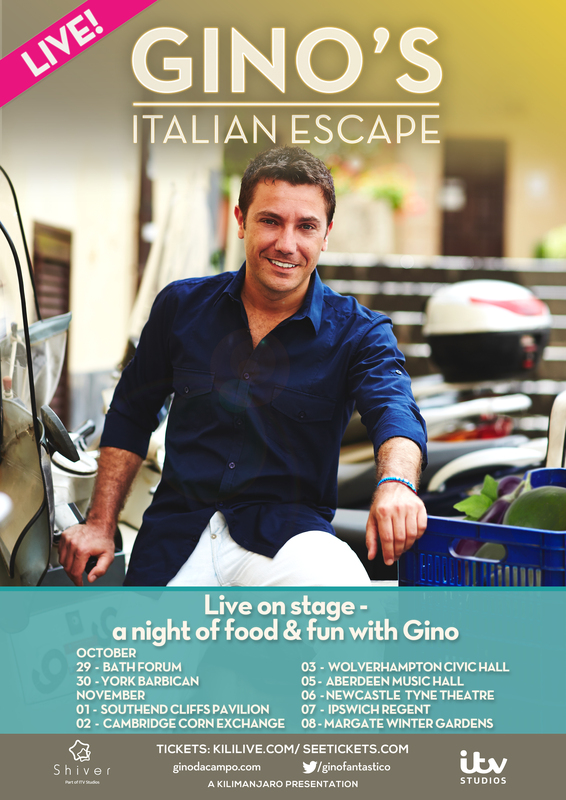 Gino is touring the UK this autumn in a brand-new stage show Gino’s Italian Escape – LIVE! He will blend his love for Italy with delicious dishes and his unique brand of audience participation – it’s a show not to be missed! You’ll go with Gino on a gastronomic tour of his homeland, learning to cook his favourite dishes and he also plans to put audience members through their paces as selected fans are invited to join him on stage. One thing is for sure with Gino…you can expect the unexpected! You will love the live theatre show which will feature a mix of cookery, Italian food tips and the chance to get up close and personal with the man himself. It promises to be ten nights of unexpected delight as it tours theatres across the UK. Tickets are available at www.ginositalianescape.com and they are selling fast, so don’t delay, get yours today!